It was a gamble. I knew that. Coming from out of state meant my travel costs were high (there’s no such thing as a cheap hotel in Scottsdale). But it’s such a great show! Everyone says so. I did a lot of research, read lots of reviews, both from artists and from patrons. It sounded perfect. I was ecstatic when I was accepted to participate. It’s not an easy show to get into; the competition is pretty fierce. I was really looking forward to this great show I’d heard so much about. Note: when a patron says a show is “great” they mean that the art is of consistently high quality and the show is a visual treat. 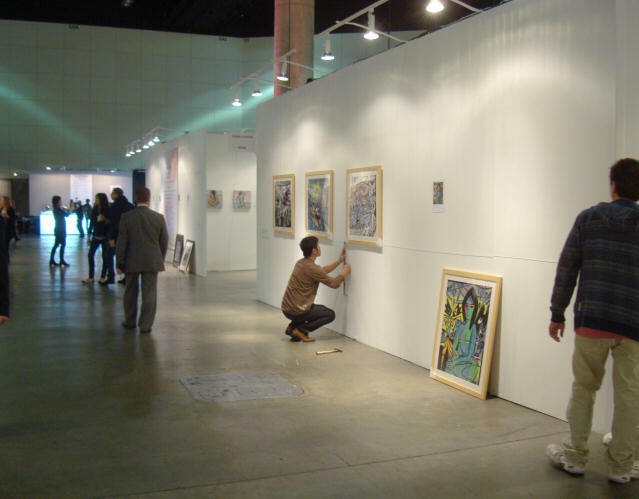 When an artist says a show is “great” they mean that art collectors come to the show and buy lots of art. Usually the two overlap to a high degree. I had very high hopes for this show. Unfortunately, my hopes weren’t matched by reality. Frankly, I lost my shirt on this one. The weather was against us for 2 of the 3 days. Cold winds and rain doused us all day Friday and most of Saturday. That surely dampened spirits. Oh yeah, and it hailed on Friday. Twice. 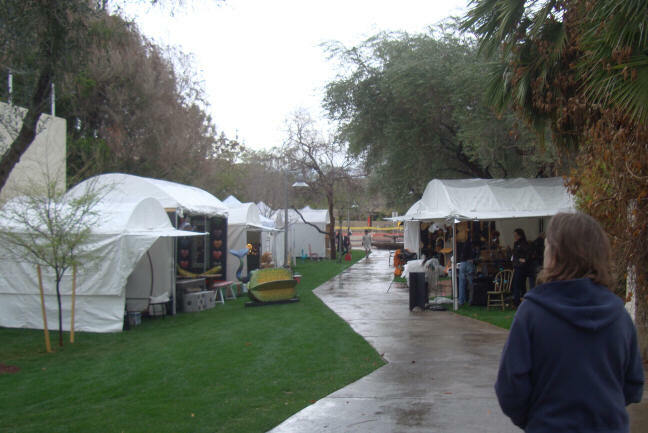 But actually a lot of people came to the show, in spite of the rain. (They did all leave when the hail started.) And even more people showed up Sunday when the weather was nice. It got quite crowded. So I can’t blame the weather. Plenty of people showed up, more than I expected. It just wasn’t the right crowd for me. I gave it my best shot and lost. Sometimes that happens. The good thing is there’s always another show. 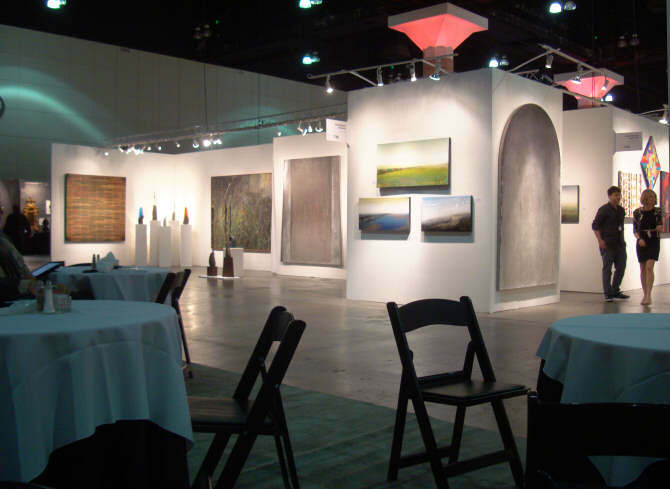 Up next for me is the Beverly Hills Art Show, May 18-19, 2013. Also a gamble, but at least I get to sleep in my own bed. See you at the show! I’m going for the best. 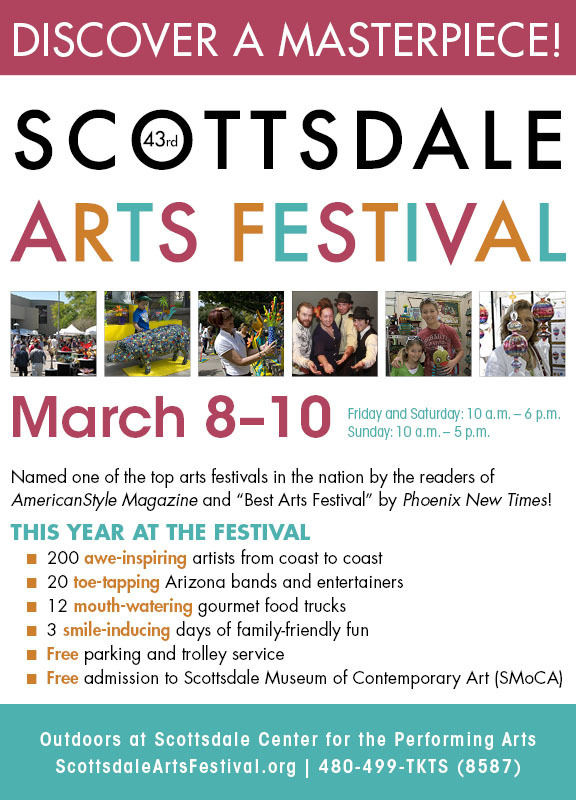 It’s my very first out-of-state art show, all the way in Scottsdale, Arizona. 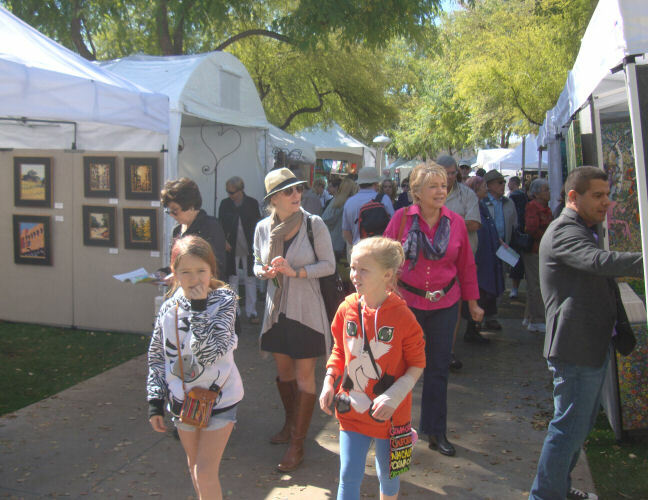 There are a lot of art shows in Arizona (no, really, a LOT) but by all accounts the Scottsdale Arts Festival is the best. And only the best will do! So I’m off to Arizona! My art and I will be in booth 32. Come take a look! It’s going to be a beautiful show. I scaled back this year. 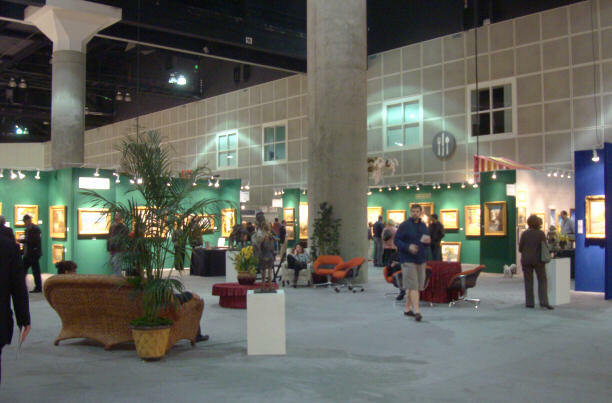 I opted to attend only one big January art fair, the LA Art Show (under new management). 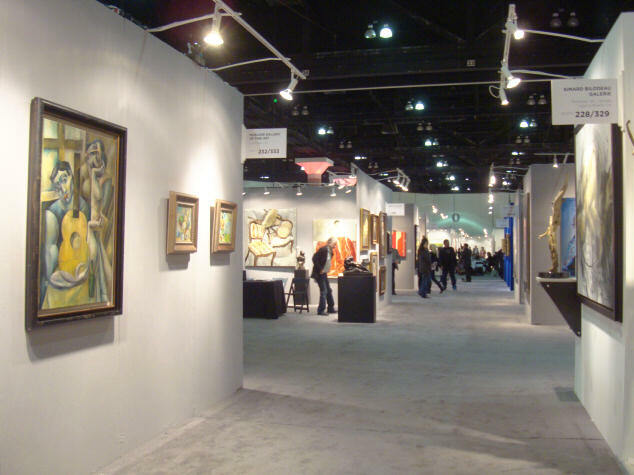 I decided to skip Art LA Contemporary, held in Santa Monica the same weekend. 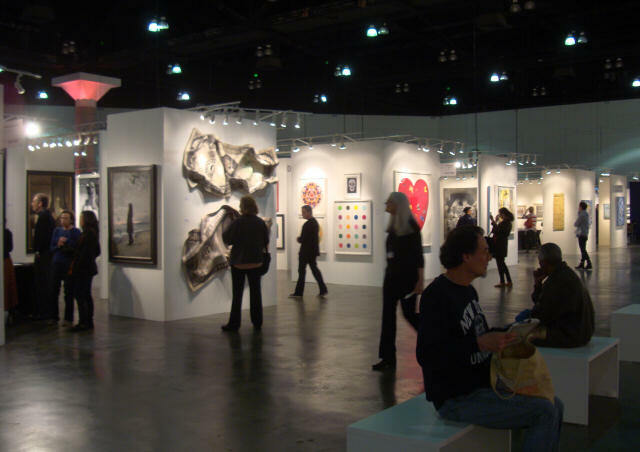 The third big contender from last year, the Affordable Art Fair, skipped Los Angeles this year after last year’s splashy debut. 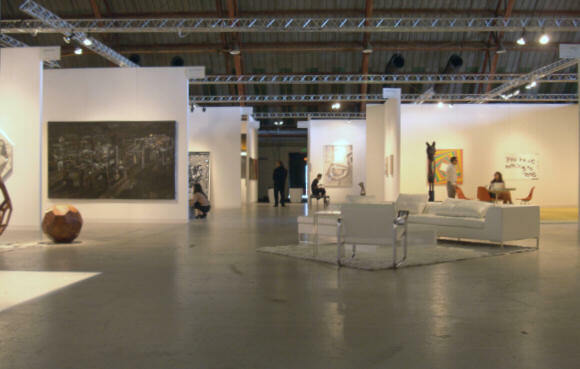 Which just shows how fluid the art market really is. I wonder if it will come back, or if they’ve given up on Los Angeles altogether. 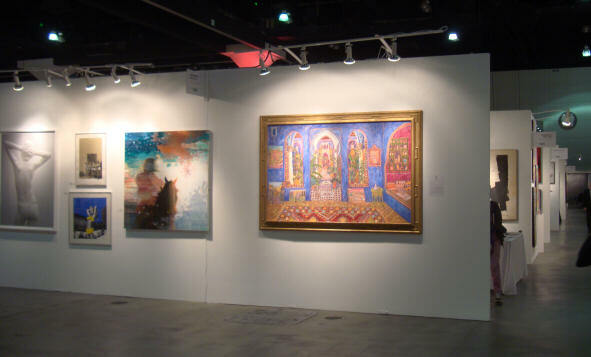 So, this year’s LA Art Show, held as usual in the downtown convention center, backed off its grandiose “3-in-1” claims from last year and was truly just one big show. There were internal groupings, much as in previous years, but it all flowed together. As usual, I started in the traditional-art (i.e., dead artists) side of the hall and worked my way to the contemporary side. I snapped fewer shots this year. I’ll show you just a few select favorites. On the traditional side, not much really grabbed me this year. It looked a lot like previous years. 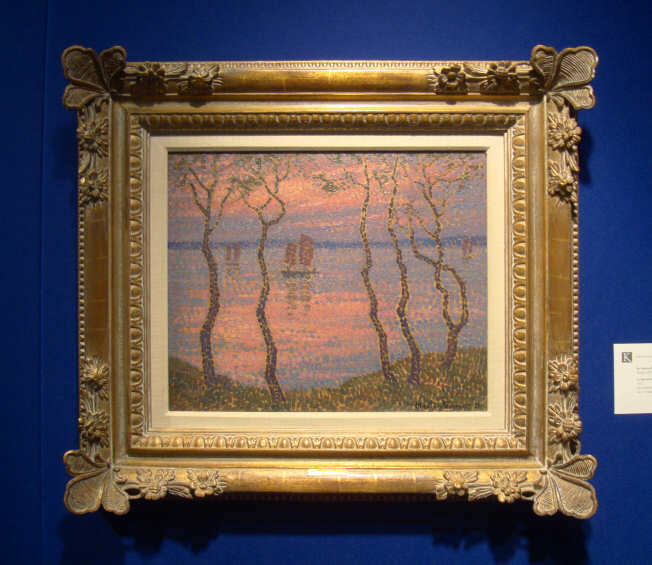 But I did find a few rare Pointillist paintings, a style close to my heart since I too paint with dots. 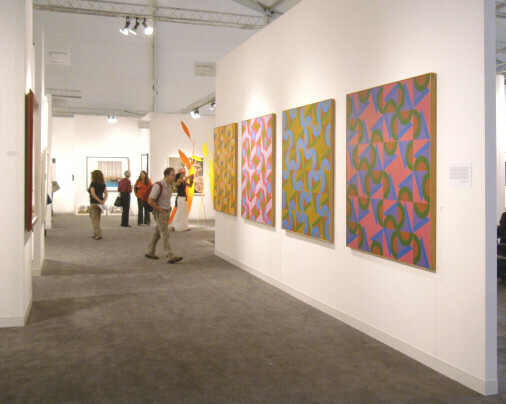 Two Pointillist pieces I particularly liked were by Jac Martin-Ferrieres, shown by Kendall Fine Art from Atlanta, Georgia. 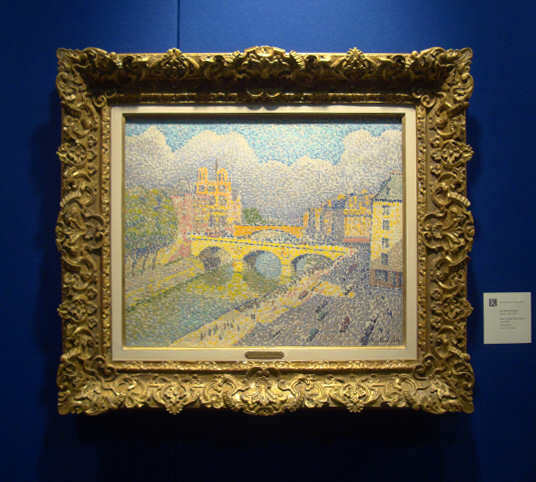 Interesting to note that these pieces date from the 1920s, well after Pointillism’s original heyday in the late nineteenth century. Jac Martin-Ferrieres, “Paris, la Seine, Notre Dame,” ca 1920, oil on canvas, 18×21.5 inches, price not shown (Kendall Fine Art). Jac Martin-Ferrieres, “La baie de St Tropez,” 1921, oil on canvas, 14×17 inches, price not shown (Kendall Fine Art). 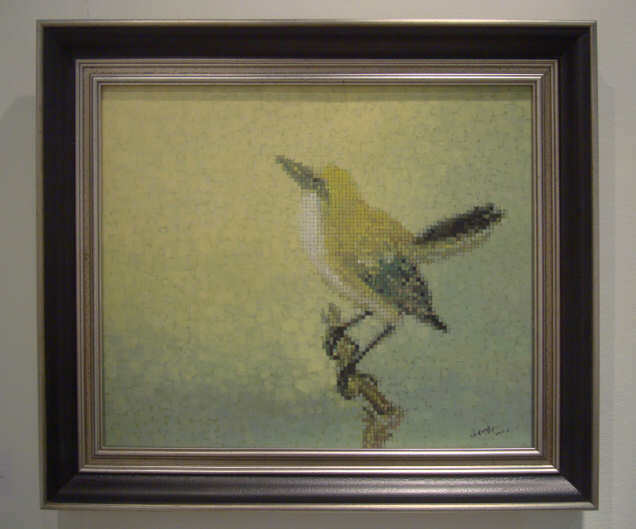 This piece shows an appealing merger of the older Pointillism style with a modern 1920s-era aesthetic. I find it fascinating. This brings us fully into the contemporary section. There was lots of Damien Hirst on this side, but I managed to mostly ignore it. Karen Gunderson, “Hudson Moment,” 2008, oil on linen, 40×40 inches, $20,000, offered by Waterhouse & Dodd of New York and London. At the extreme far end of the show were clustered the galleries from Asia: primarily South Korea and China. 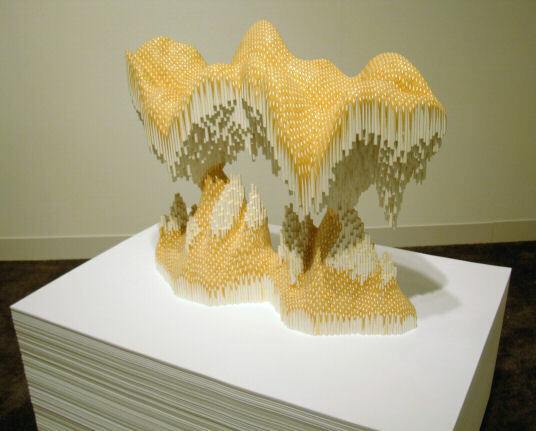 The work shown here can be pretty varied, but I found a few pieces to like. 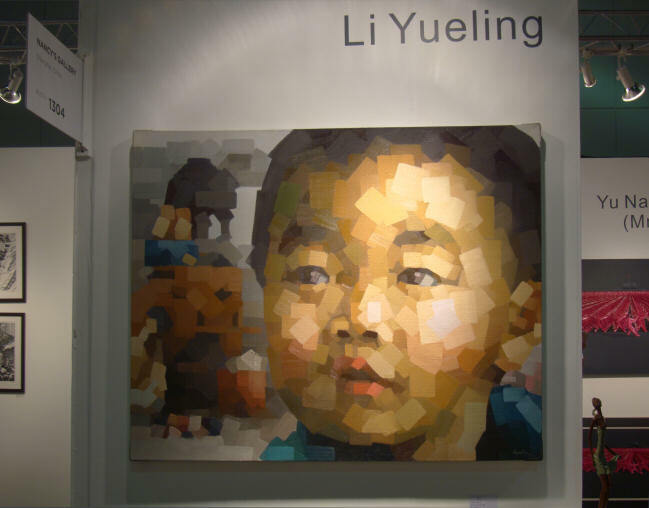 Li Yueling, “The Future Ahead of Me,” oil on canvas, 120×150 cm, $15,800, offered by Nancy’s Gallery from Shanghai, China. The artist is a fellow from Beijing, according to the gallery representative I spoke with. Someone there told me the shipment had gotten hung up in US Customs. “Maybe ship earlier next time,” I suggested brightly. I’m sure they greatly appreciated my sage advice. Bai Hongwei, “Flower and Bird No. 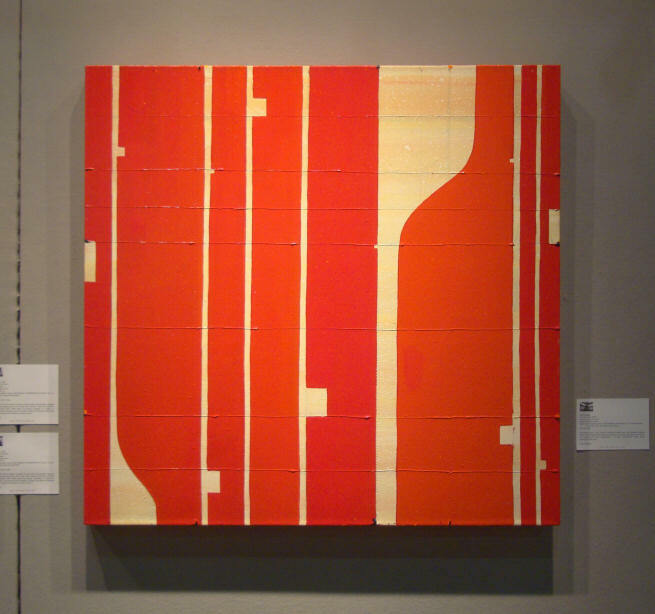 2,” 2012, oil on canvas, 50×60 cm, $7000, shown in the China Fusion pavilion. 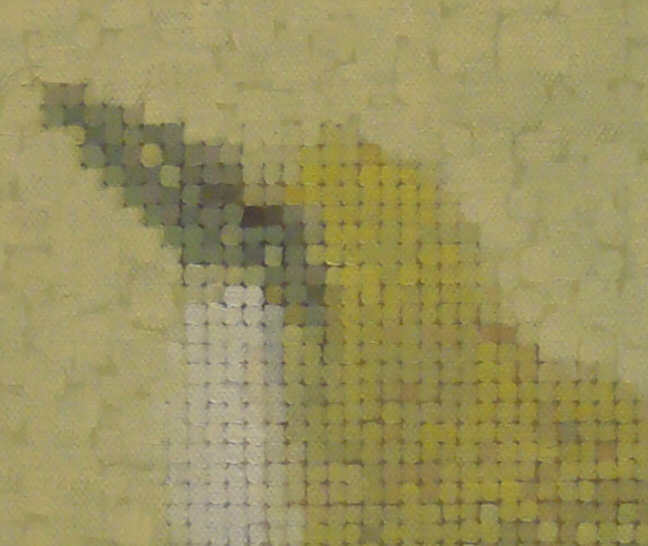 I liked the subtle colors and the way the bird was picked out in an orderly grid against the looser background. A nice melding of East and West. I’m not “ringing” in the New Year, I’m “hiking” it in! Getting out and tramping around is how I get inspired to paint. After abundant winter rains, southern California greened up. This is as green as it gets! Cheseboro Canyon after the rains. If you missed seeing my art in 2012, fret not. I’m planning to get out and exhibit more in 2013. Being on my mailing list is the best way to get reminders about my shows. Click here to join, and I’ll see you at my next show! 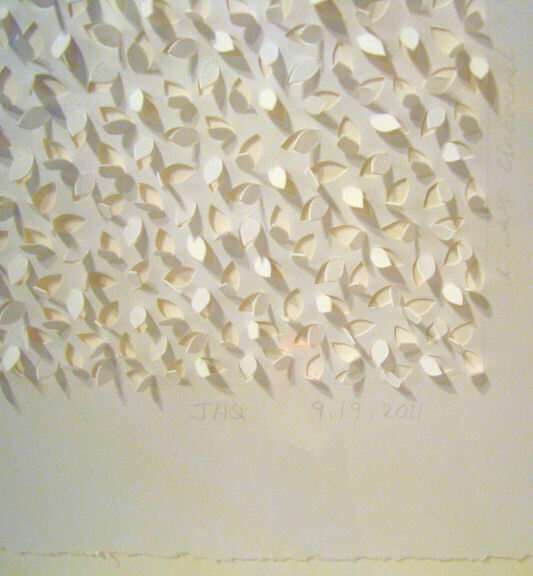 An annual tradition, I’m showing my work at the Silverlake Open Studio tour this weekend, November 10-11, 2012. 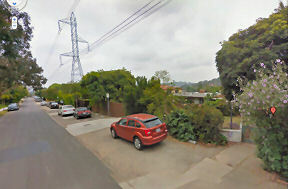 That’s the Silverlake neighborhood in Los Angeles. Fred and I hang our work side by side and then hang out together all weekend. It’s a very casual, drop-in kind of event. We’ll have drinks and munchies, including Fred’s famous turkey chili (mild by default, but possible to hot up with optional saucy additions). Fred’s lovely dogs will be on hand to greet everyone (and beg for chili). It’s good, relaxed fun. I hope we’ll see you there! 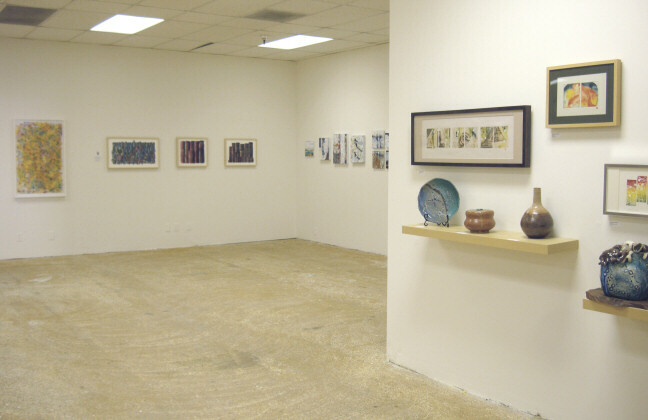 Fall is in the air, and the annual Silver Lake Art Collective annual exhibit is on! Want to come see? The show is free and open to the public. And there are receptions! 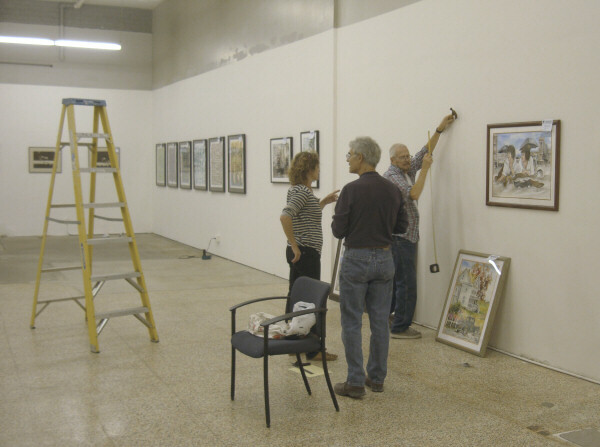 Both an opening and a closing reception… no end to the fun. You should definitely stop by. 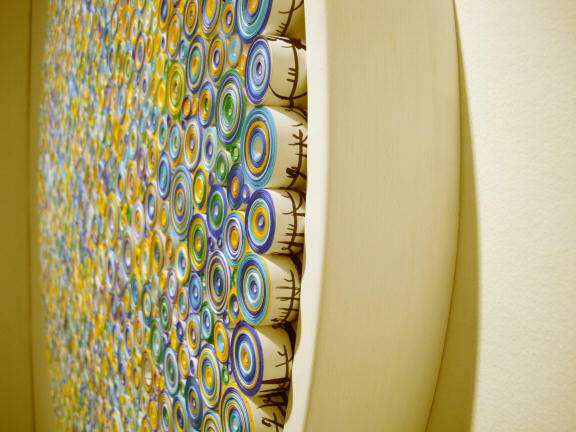 Opening Reception: Saturday Oct 20, 2012, 6-10pm. 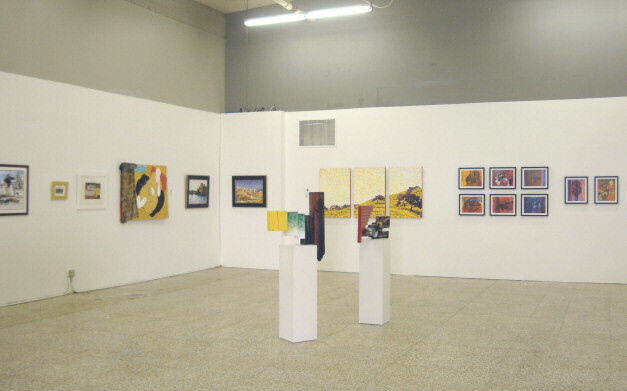 Open Hours: Fridays through Sundays Oct 21-Nov 17, 2012. 12-8pm Fridays and Saturdays, 12-5pm Sundays. Open Studio Tour: Saturday and Sunday Nov 10-11, 2012, 12-5pm. See my website for details. 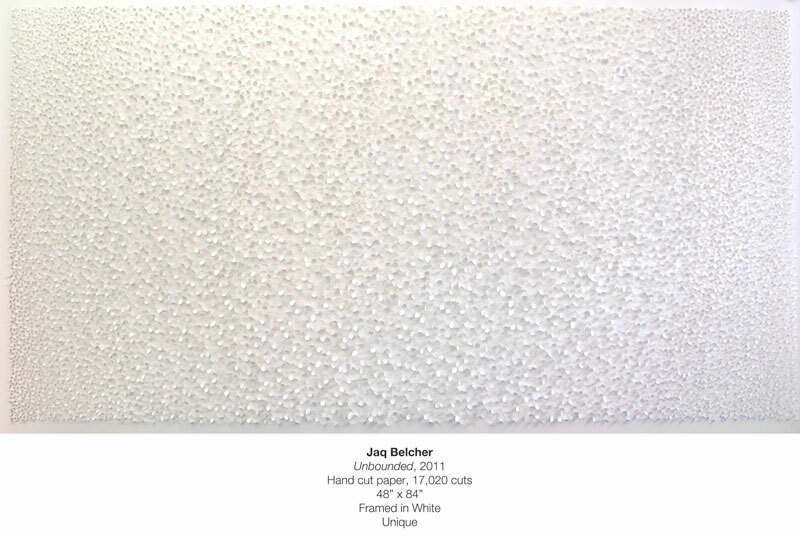 Closing Reception: Saturday Nov 17, 2012, 6-10pm. 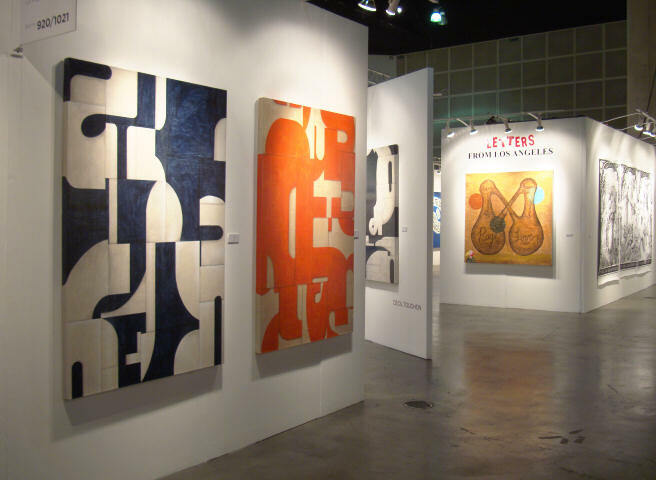 The two-year-old international art fair Art Platform was held September 28-30, 2012 in Santa Monica, California. That also happened to be the weekend when the biggest freeway of Los Angeles was entirely shut down for 2 days of massive construction work. I avoided the traffic nightmare by visiting on Friday before the shutdown. It surely had some negative impact on attendance Saturday and Sunday, but I don’t know how bad. My heart goes out to the galleries, many from very far away (Tokyo, Hong Kong, Miami and Amsterdam to name a few), who were taken entirely by surprise at this turn of events. I hope they did OK and sold enough art to at least pay their expenses. I didn’t know what to expect from this contemporary art show. I’m not a fan of all contemporary art, indeed I find much of it sophomoric and ugly. Happily I saw a lot to like at this one. I took too many photos to show you everything I liked. I’ll just show you some highlights to whet your appetite. Consider this the tip of the iceberg. 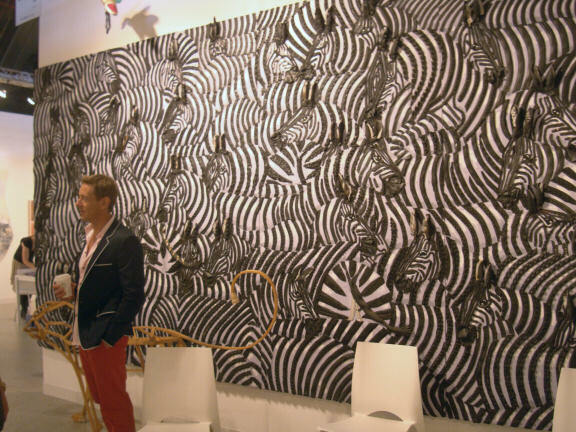 One of the first booths I visited was Now Contemporary from Miami, where the entire booth was devoted to the work of a single artist: Federico Uribe. 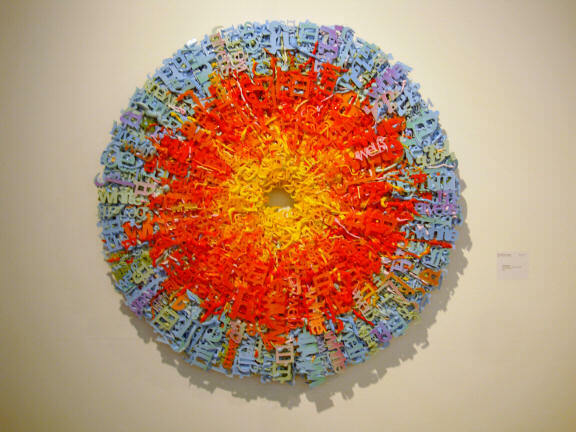 I loved his playful animals made from recycled books, bike tires, sneakers and pencils. 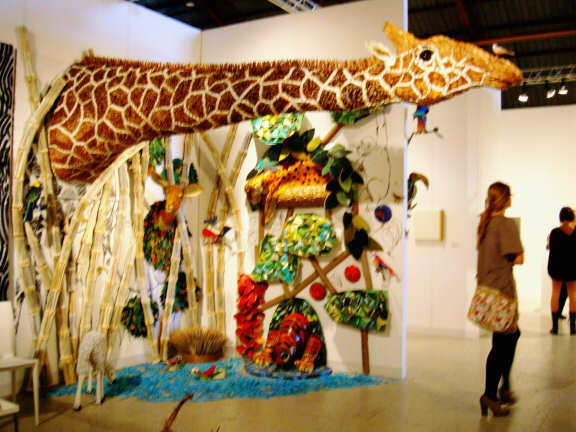 Uribe’s massive giraffe made from colored pencils hung cantilevered over the rest of the booth and was, for me, the star of the show. I’ll admit I did wonder about the structural integrity of the display wall it was hung from. The giraffe’s brown spots are brown pencils, the white lines are white pencils. Its mane is a bunch of sharpened pencils standing straight up. Clever, eh? Every home should have one. Wandering about, I noticed several hallway displays of large hard-edged paintings. They seemed very familiar. 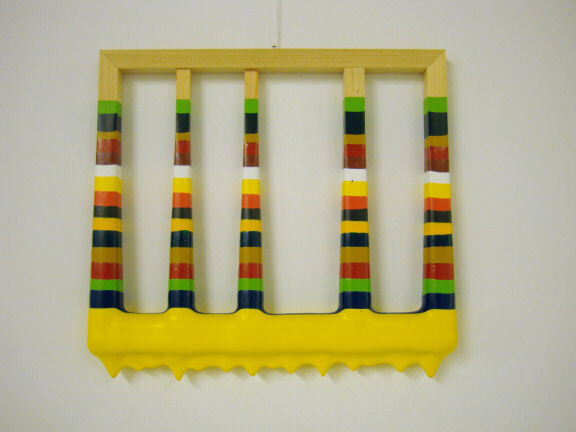 I quickly realized these were pieces by Karl Benjamin, who passed away just this year. 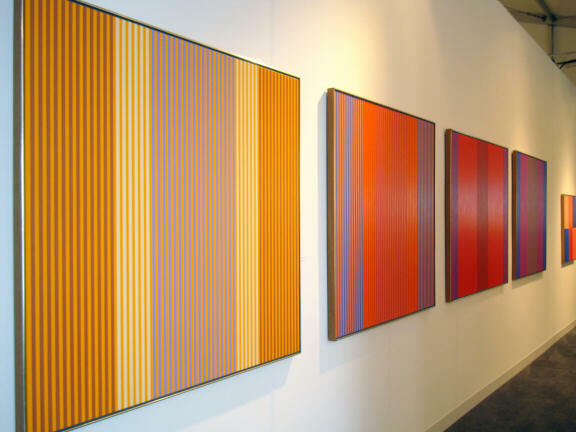 Paintings by Karl Benjamin from 1977-1978. I liked these better than from other periods. 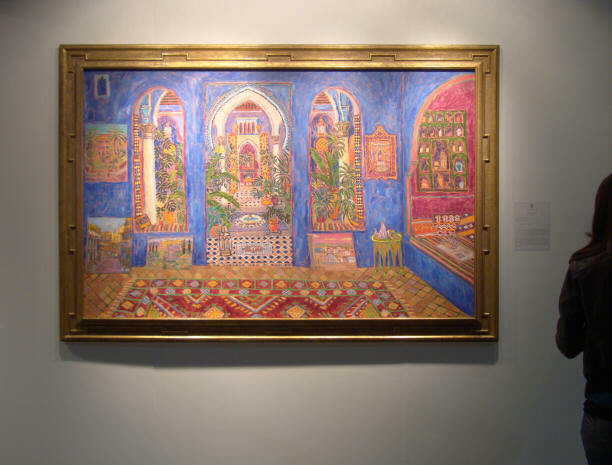 Karl Benjamin paintings from ca.1984, shown by Louis Stern Fine Arts. At first I was moved by the displays honoring the recently deceased artist. But then I wondered: are these galleries just looking to cash in now that the artist is gone? One of those thoughts was unworthy, but I’m not sure which. There were other convergences to be seen. It’s always fun to pick out the coincidences and muse on whether they represent trends or mere statistical flukes. 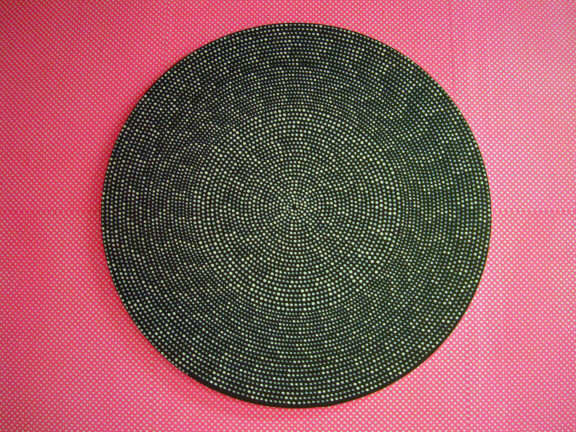 The backdrop behind this painting was more dots, in bright pink, plastered over the entire booth. 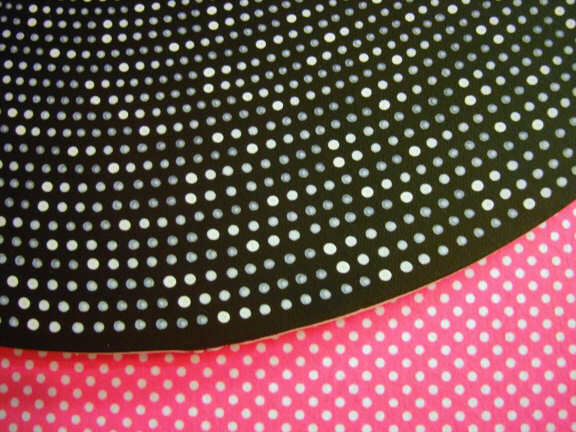 Dots on dots – a dizzying effect! 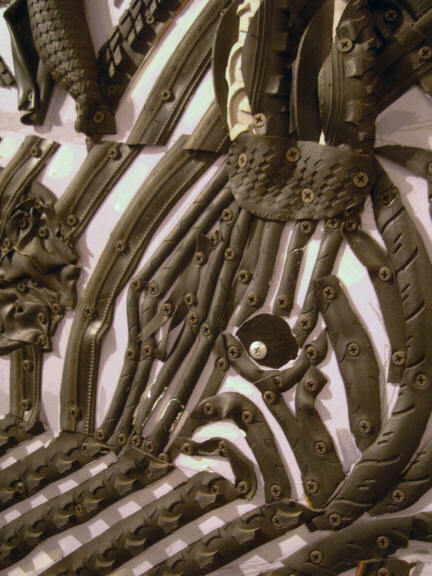 The luscious material is cast silicone, colored and hand-cast by the artist. The shapes are words. In this piece, the words all say “white” in 9 different languages. 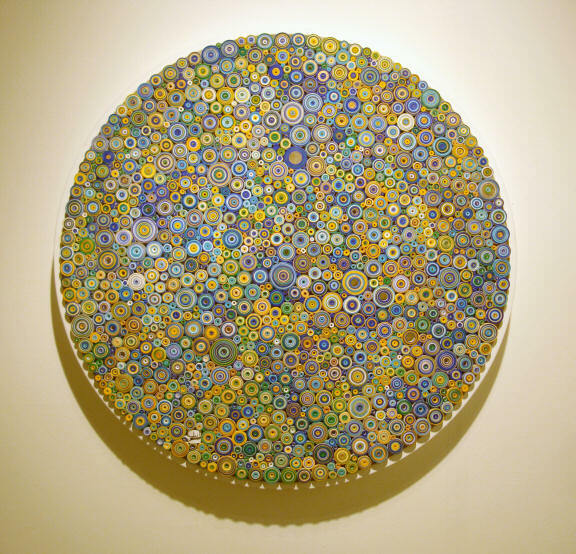 This is Lament/A Thousand Tear Drops For You, 36×28 inches, 2009, by Sungyee Kim, shown by the Mindy Solomon Gallery of St. Petersburg, Florida. All it said was “mixed media,” but I wouldn’t be surprised if there was some encaustic involved. I love the translucent depth you get with encaustic. 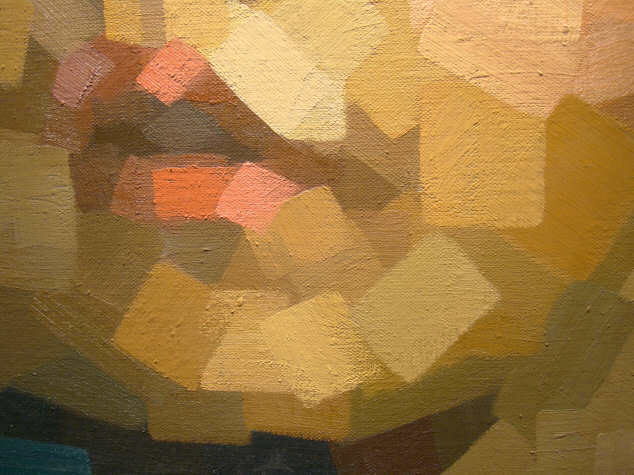 Speaking of depth, I was attracted to a good many pieces with depth or layers. Even just a hint of depth is enough to quicken my pulse. Why is that? 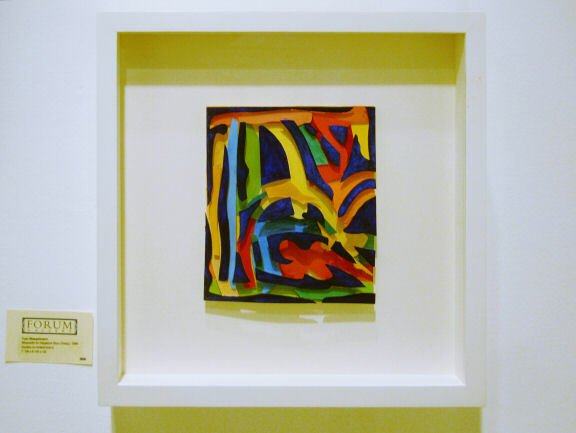 Tom Wesselmann, Maquette for Negative Blue (Deep), 1996, liquitex on bristol board, 7 1/8 x 6 1/4 x 1/2 inches. 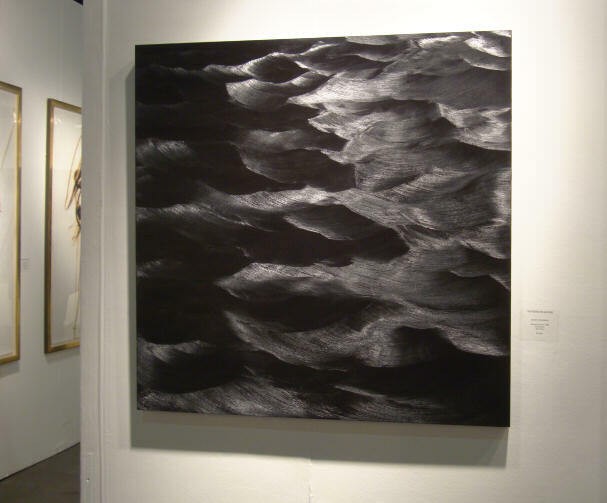 Shown by Forum Gallery, Los Angeles. 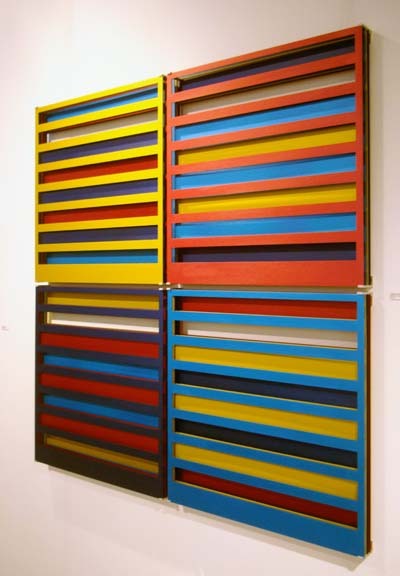 Liam Gillick, Weekday in Sochaux, 2005, anodized aluminum in 4 layers/colors. 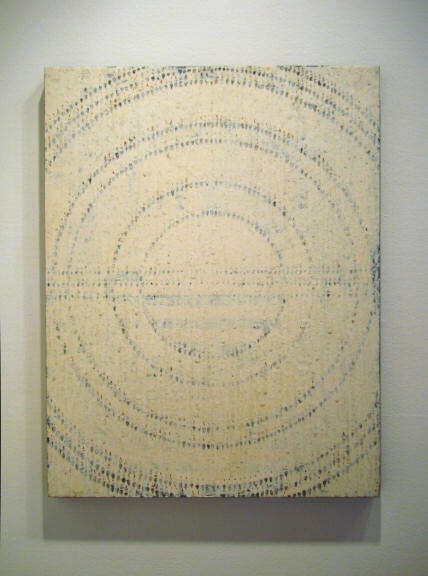 Shown by Galerie Sho Contemporary Art, Tokyo. 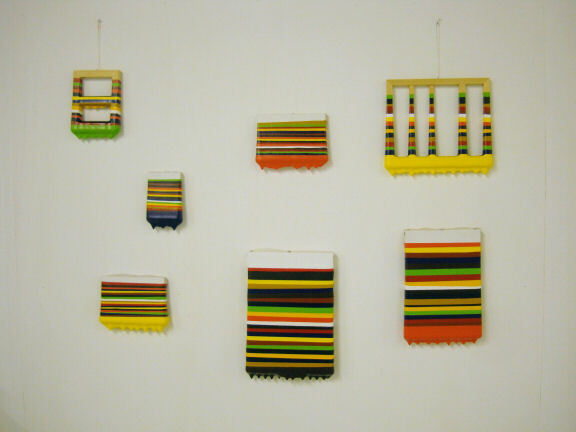 Satoshi Uchiyama, Soaked Paintings, acrylic paint on wooden objects, about 4 to 10 inches each. These works reference the 2011 tsunami. Shown by eitoeiko, Tokyo. That’s enough! If you need to see more, you’ll just have to come to the show next year. See you there!